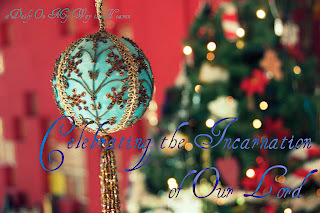 Rebecca gave me permission to repost her article on the Incarnation today; Thank you, Rebecca! The act of God in which God the son, the second person of the Trinity, took upon himself a human nature so that his divine nature and human nature were joined together in one person who is both truly God an truly man. Wayne Grudem: The Person of Christ (mp3s): Part 1, Part 2, Part 3. Let us prepare our hearts even more than we prepare our homes for the great celebration: The Incarnation of our Lord!